No one ever expects a dental emergency to happen to them; however, one in six Americans face this situation every year. If you find yourself in this position, you may not know where to turn or what to do. If you suddenly find yourself with an injury or an emergency that affects your teeth or gums, Aspros, Boyd & Walther Dental Associates are here for you. 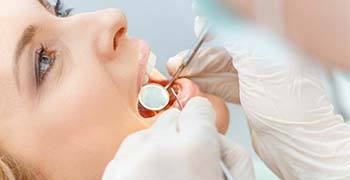 We have an emergency dentist in Tallahassee who can provide you with the quick care you need to restore your oral health. Dental emergencies can come in a variety of forms, such as a broken tooth or an abscess. No matter the situation that you are facing, time is of the utmost importance to save your tooth from needing to be removed. If you find yourself with a problem that requires immediate care, the first thing to do is to calm down and call our office. Then, there are several things you can do at home. Knocked Out Tooth: Hold it by the crown and rinse it with water. Do not use any soaps, cleaners, or dry it. Try to reinsert it back into its socket. If you cannot, place it in a cup of milk or water. Chipped, Cracked, or Broken Tooth: Rinse your mouth with salt water. If there is any bleeding, bite on a piece of gauze. Use over-the-counter pain relievers and cold compresses to manage discomfort and swelling. Avoid placing pressure on the tooth until after it has been repaired. Large Object Caught Between Teeth: Carefully try to remove it with floss. Injury to the Gums or Tongue: Apply gauze to the wound if there is any bleeding. 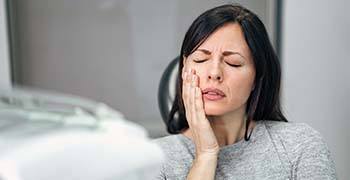 Severe Toothache: This is often a sign of an infection that needs prompt care. Over-the-counter pain relievers can help reduce your discomfort. 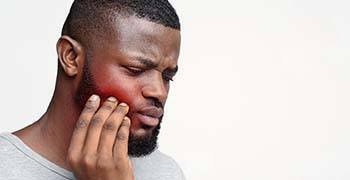 Swelling of the Jaw: Use cold compresses to manage the swelling. If you suspect that your jaw may be broken, you will need to visit your local emergency room. Maintain your oral hygiene to keep your teeth and gums healthy. Visit your dentist twice a year for a cleaning and checkup. Potential problems can be detected and treated early to prevent them from turning into an emergency. Do not chew on overly hard foods, like ice. Do not use your teeth as tools, such as to open food packages. Use an athletic mouthguard if you participate in sports. If you have a dental emergency in Tallahassee, do not wait to get the care you need. We will provide you with a same-day appointment to treat the problem, so you can get back to enjoying your day. If you are not sure if you are having a dental emergency, please contact our office and a member of our team will provide you with the information you need. Don’t wait. Call us today for a same-day appointment.